This story originally appeared in the Issaquah Reporter on December 18, 2009. 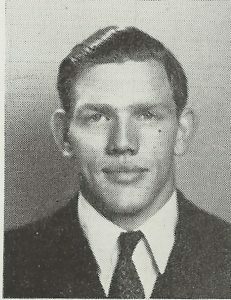 Walt Seil in his senior yearbook photo, ca 1941. 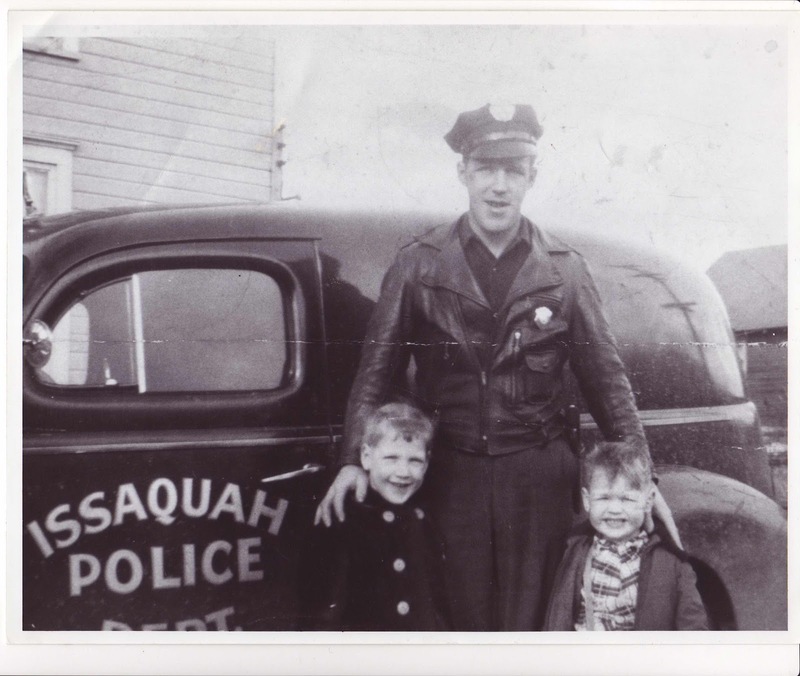 Walt Seil was an Issaquah native, as was his father, Edward “Nogs” Seil, before him. 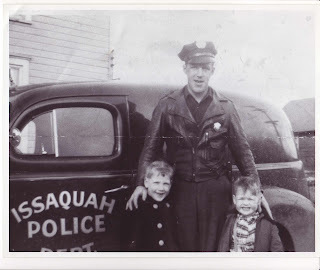 When Walt recorded his memories for the Issaquah History Museums Oral History Video Project, he especially relished telling stories about his dad’s time as the town marshal. That was during the 1950s and it was a different era. The sign by the railroad crossing on East Sunset announced that the town’s population was 812. Everyone knew everyone else and Marshal Seil provided community policing before the term had been invented. 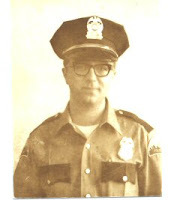 Ed Seil was a logger and a city water department employee before he was tapped for law enforcement. Here are some of Walt’s stories about him. “When they had to have a new marshal, they asked Dad to be the marshal, so he accepted the job. He didn’t know anything about police work at the time, but he could fight and he handled drunks, so that’s what they wanted. There were two grocery stores and five beer parlors in Issaquah at that time. Issaquah was a pretty rough town. I’ll tell you something. I was coming home from work one night – I was working graveyard shift at the creosote plant [in Seattle] – and I was coming up Sunset. The [Grand Central] hotel was on the left, and the beer parlor and restaurant. And my dad had a man up against the wall. And there was a woman behind him with a purse, beating my dad with the back of her purse – smacking him – while he was holding this guy against the wall, fighting him, see. And there was another couple there besides. 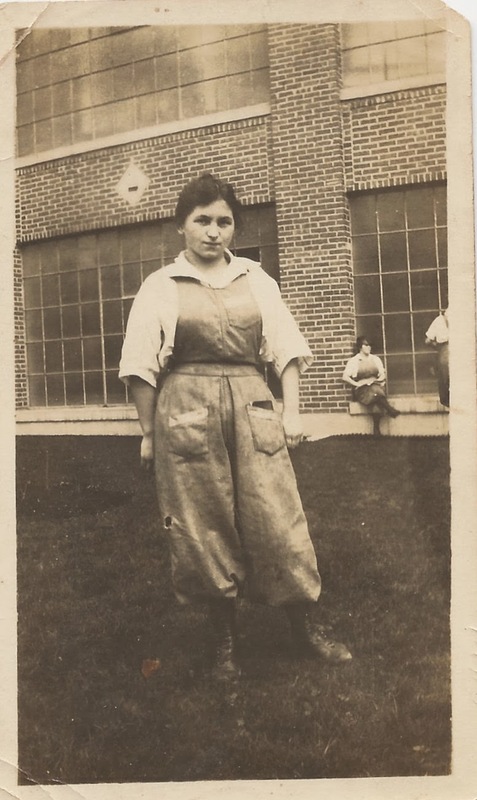 Then another time, his dad – my grandpa – who lived down by the creamery (Darigold plant) in Issaquah in a house Dad built for him, caused an incident. My grandpa was close to 90 years old, and always liked to come up and sit in the beer parlor and have a few beers. Well, there was a woman sitting next to him. And be bought her a beer, see. And then another guy come in and sits on the other side of her. He’s going to buy her a beer, and it made Grandpa mad, see. Ninety years old and he’s going to fight this guy because he’s interfering! Pretty soon, Grandpa sticks his head out the door, looks around, comes out, looks down the railroad track and then down the railroad track he goes to home! One night I was down at Dad’s and somebody called him and says, ‘Across the street there’s a big noise going on.’ So Dad says, ‘C’mon, go with me.’ We got in the car and went up there. And here on the outside of the door is a naked woman, pounding on the door! Her husband had locked her out. Dad got out of the car, went over and took his coat and put it on this woman. Then he knocked on the door and told the guy who he was and the guy opened the door, see. He took her in, and Dad gave him the riot act. Then he turned around; he didn’t put the guy in jail or nothing. We had lots of things going on at that time. Dad did a good job. Everybody liked him. And everybody knew not to cross him. He had a quick temper. He got along great. Walt Seil died in October 2008 at age 88. 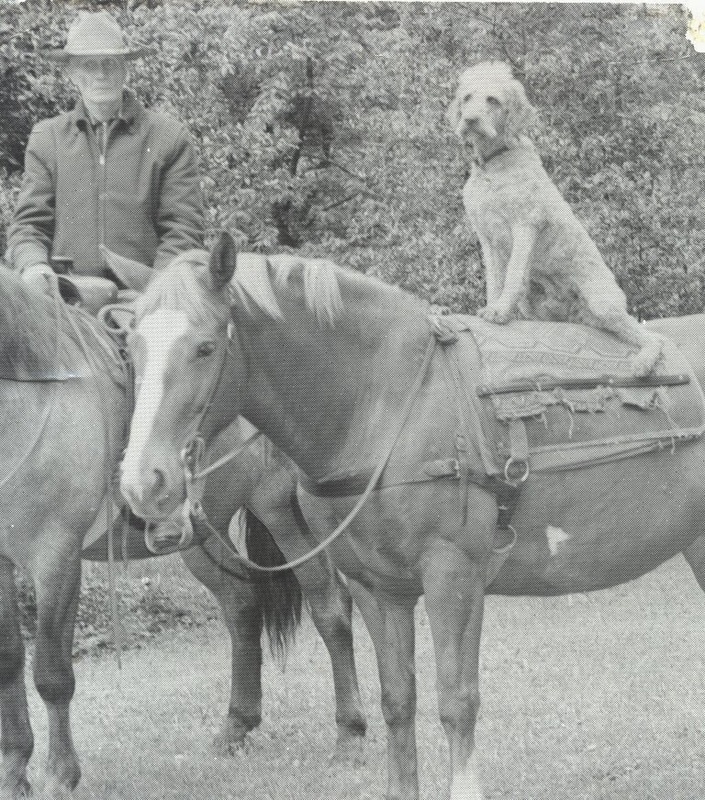 He was a long-time supporter of the Issaquah History Museums and a great resource for information about the old days. He was always cheerful and kind to new museum volunteers. The last time I saw Walt, I was docenting at the Depot. He pulled up in front on his snazzy red power chair and sat staring at the building. I went out to greet him and asked what he was up to. “Oh, I’m just out looking around the old town,” he said wistfully. I went back inside and swallowed a lump in my throat, afraid I had witnessed a farewell tour. Not long afterwards, Walt was gone. 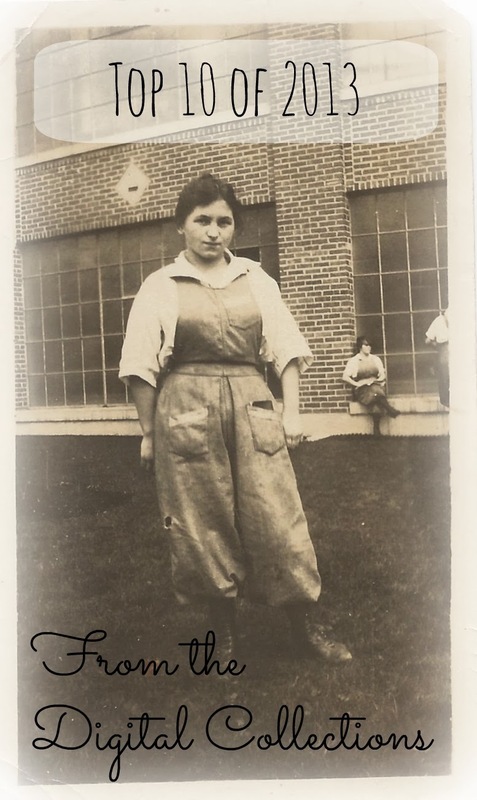 At the end of every year we’re able to see what the top records from our Digital Collections are – meaning which photo, document, letter, etc. was accessed by the most people. It always fascinates me to see what records make this list and it is never what I expect. The following are the top 10 records accessed during the year 2013. And so concludes Washington Archives Month 2012! We hope that you’ve been following our daily posts on Pinterest and Facebook as well as the occasional blog here. It features Ed Mott, an Issaquah Police Officer who experienced everything from small crimes to D.B. Cooper and Ted Bundy. He tells his own personal stories about being first one on the scene to one of Ted Bundy’s crime scenes and much more. See the video posted below. All of these items posted during Washington Archives Month are made possible by generous grants from 4Culture. But a lot of what we do is made possible by donations and volunteers in the community. We hope you will consider donating, volunteering, or becoming a member. Or just stop by and visit one of our museums! 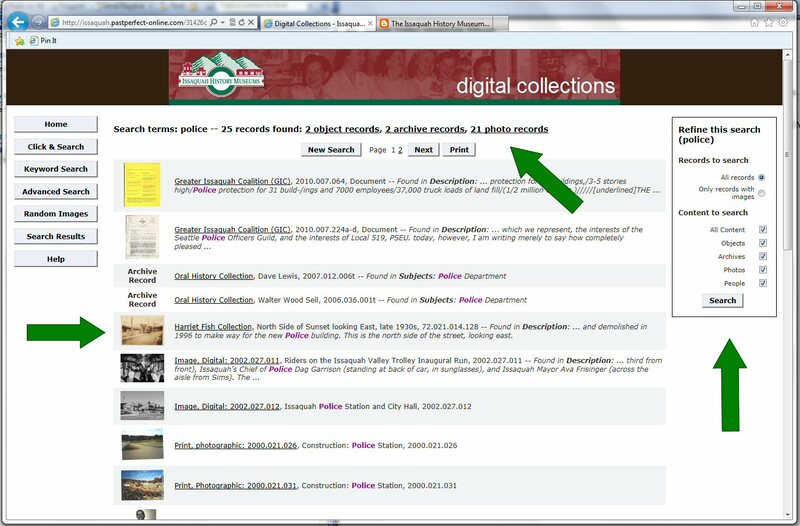 We’ve done tutorials in the past on how to search our digital collections so this will just be a general refresher – only with a focus on our Washington Archives Month 2012 theme: Law and Order. We’ve made searching for these sort of things easy. I think the best way to do this is either with Click & Search or Keyword Search. We’ll start with the former. Begin by going to our Digital Collections. On the left you’ll see the navigation bar. Click on the button labeled “Click & Search”. The next page will show you many different fields from which to search. For our purposes, we’ll be focusing on “Subjects.” Click on the letter that corresponds to your search term – as you can see in the image we’ve chosen “Law and Order.” Other relevant search terms you may try are “Police Department”, “Police Station”, and “Crime”. Doing this will bring up all the records that have those search terms in their record. 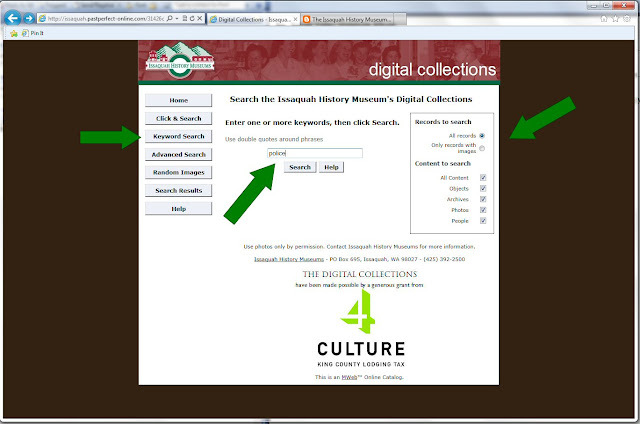 You can also narrow your search by using the box on the right. You can choose to eliminate records with no image, or search only within certain records. Once you’ve searched, there are more ways of narrowing your search. 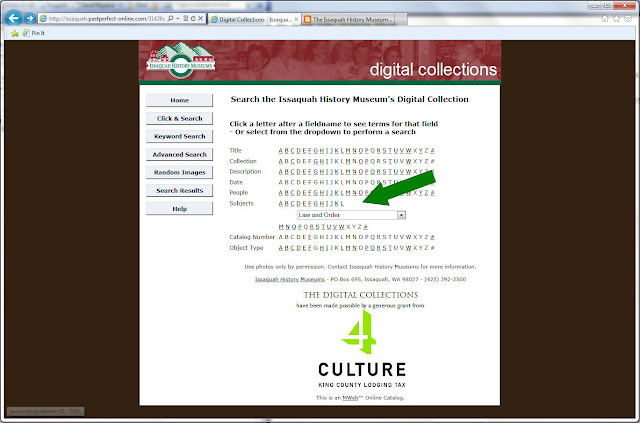 First, you can see within the records where the word you’ve searched for has shown up – the word is in bold pink text. At the top tells you how many records were found, and how many of each type. 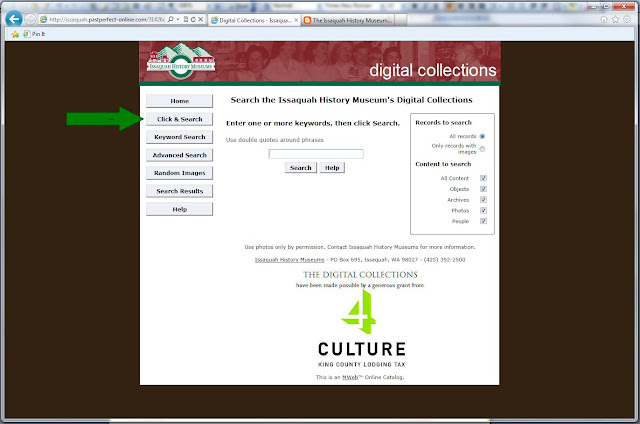 And on the right you can again narrow your search results. Be sure to check out all of our other tutorials for great information on how to do your own research, both within our records and other places on the internet. Click here for those blog entries. Issaquah History Museums Celebrates Washington Archives Month! Welcome to WashingtonArchives Month, October 2012! In short, we’d like to share more of our archives with you. 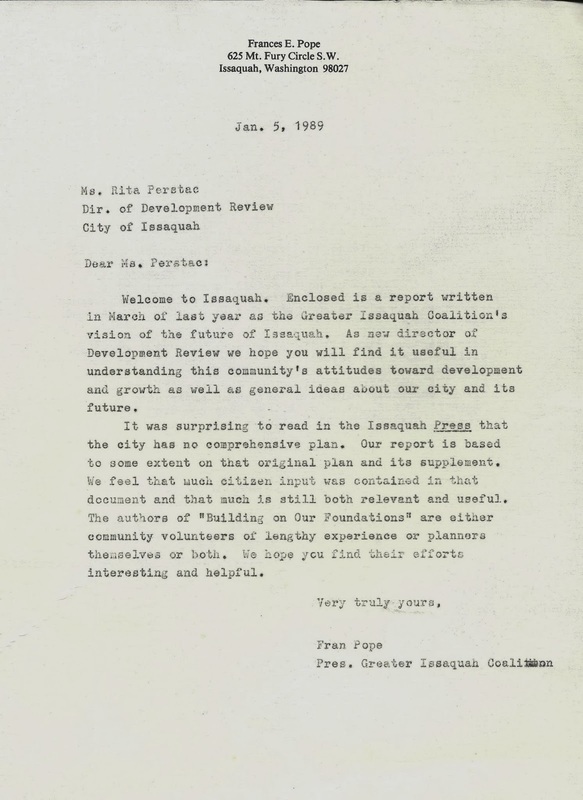 As you may (or may not) know, Issaquah has some interesting stories in this theme. Over the month we’ll share some of the more simple records like town marshals, “progressive” police cars, and great pictures from our collection. We’ll also touch on people like D.B. Cooper and Ted Bundy and share how they relate to Issaquah’s history. Everyday we’ll share with you via Facebook, Twitter, and Pinterest, a link of the day – either to our website or digital collections – that will take you further into the theme of law and order in Issaquah. As you can see from previous blog posts and our digital collections, much of what we will share with you was made available by a generous grant from 4Culture. – Visit either of our museums (or both!) in Issaquah. – Join us! 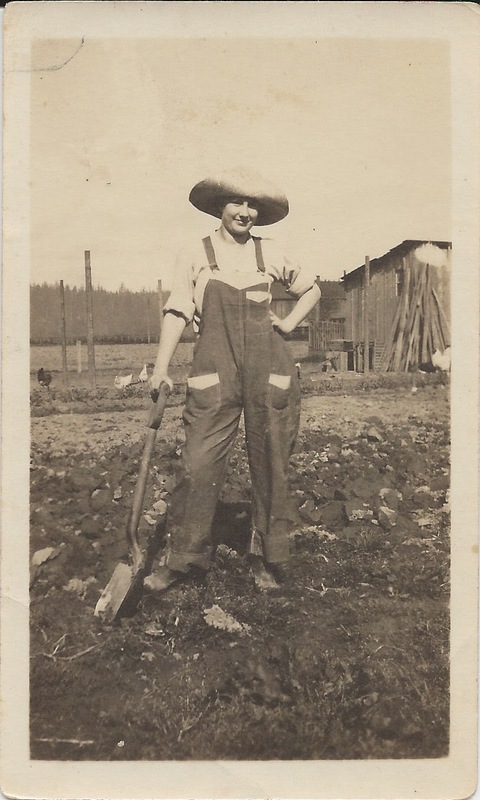 Become a member of the Issaquah History Museums. – Follow us on Facebook, Pinterest, Twitter, YouTube, and our blog. – Subscribe to our newsletter. So follow us this month as we share with you some great records we have in our archives and come learn about your local history! Before Salmon Days, Issaquah had a Labor Day Celebration. Like Salmon Days, it took place on Memorial Field. It lasted three days, and featured a carnival and a parade. The Labor Day Queen and her court had a spotlight role to play in the parade. Queen candidates were sponsored by fraternal organizations in town, and ticket sales determined the winner. 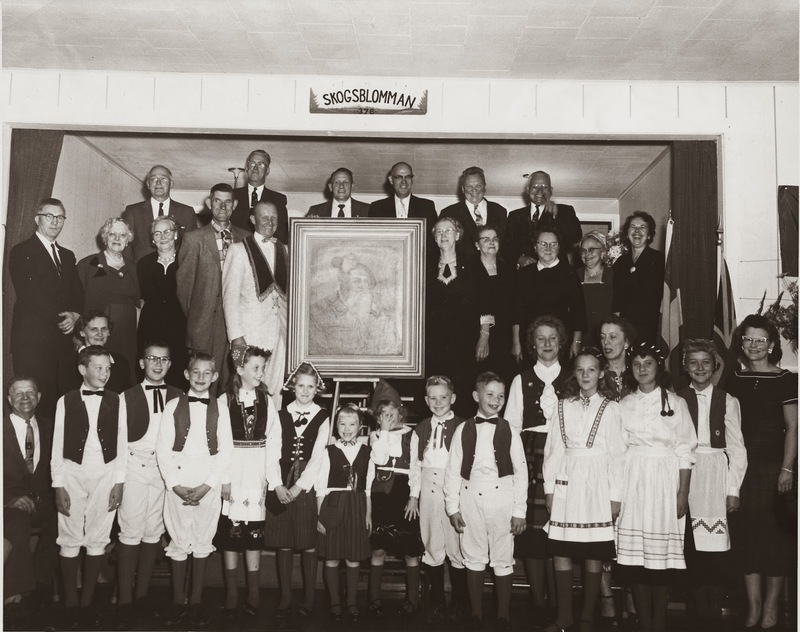 The poster at left is from the 1956; Florence Bergsma was elected queen in that year. 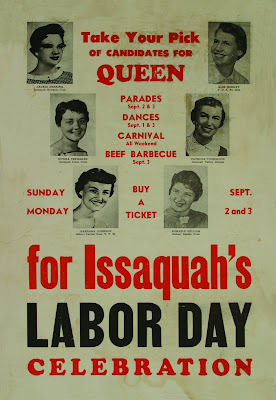 There was also a dark side to Issaquah’s Labor Days Celebration. The weekend-long event has been described as “a big drunk” by a member of Issaquah’s police force who served in the late 1960s and early 1970s. 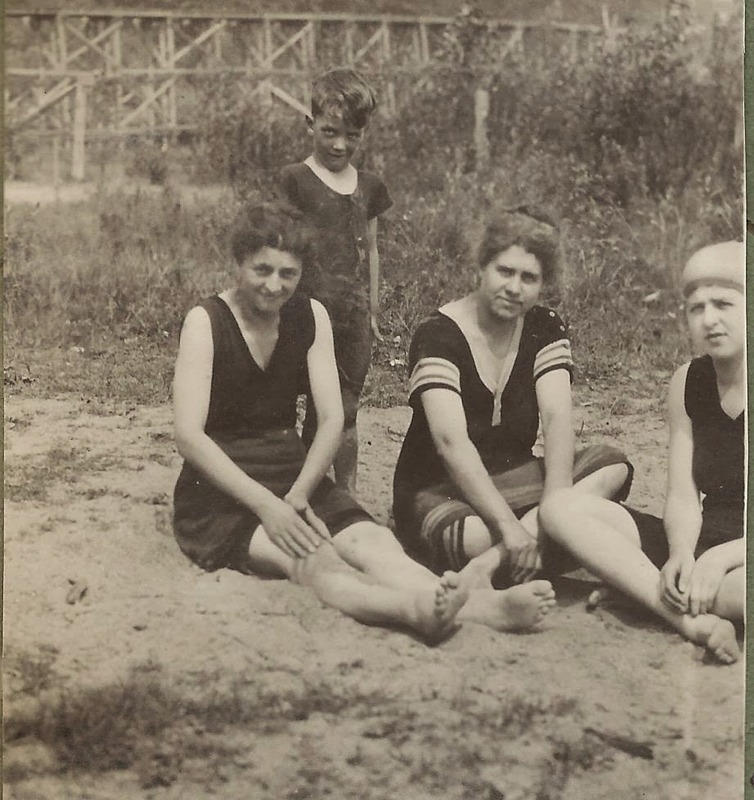 The hard-partying aspect of the annual Labor Day celebration led to its demise. Although the party line was that the celebration had been discontinued due to “volunteer burnout,” in reality, the town could no longer manage the throngs of revelers. The last Labor Day Celebration was held in 1968. Here’s a sneak peak from our Oral History Video. The two-DVD set will soon be available for purchase at either of the museum gift shops, or through our web site at www.issaquahhistory.org. We are in the process of updating our web site, and as I go through the many, many files that make up the site, I’ve been reading some of the pages for the first time in years. It struck me that many of the biographies of police and marshals bear updating, now that we have gathered more information in our community family tree. Since it makes the most sense to start at the very beginning, as Julie Andrews would sing, I decided to investigate Henry L. Beebe first. Henry Beebe was reportedly the first town marshal in Gilman (today’s Issaquah), although he served for only three days. Beebe appears in the 1892 Washington State Territorial census. At that time, he was living in Gilman with his young wife Ada Sloper Beebe, and their one-year-old son Henry. The census shows that he was born in the United States in about 1867, and that he was working as a laborer. 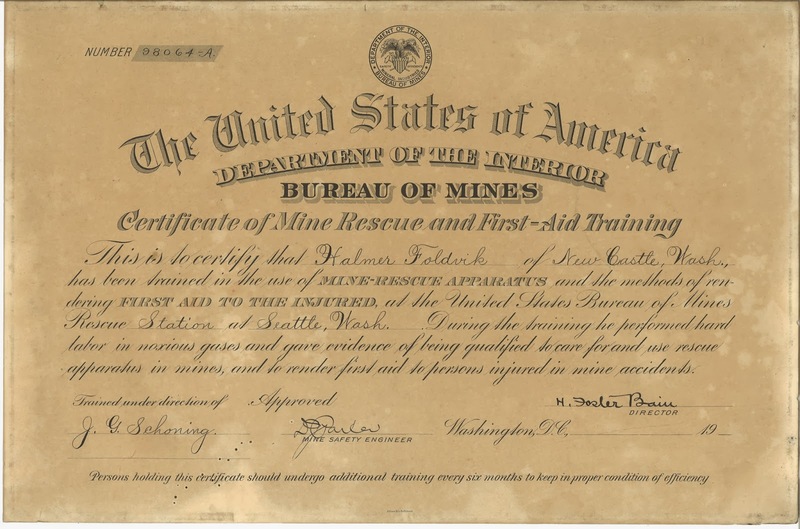 The Washington State Digital Archives contain copies of the certificate he signed upon his marriage to Ada, and another marriage license for his marriage to Sula Turner several years later. And this is the extent of the information I have been able to locate about Mr. Henry Beebe. Did his first wife die? Did he move away? What happened to his son? And how did he come to be the town marshal for only three days? 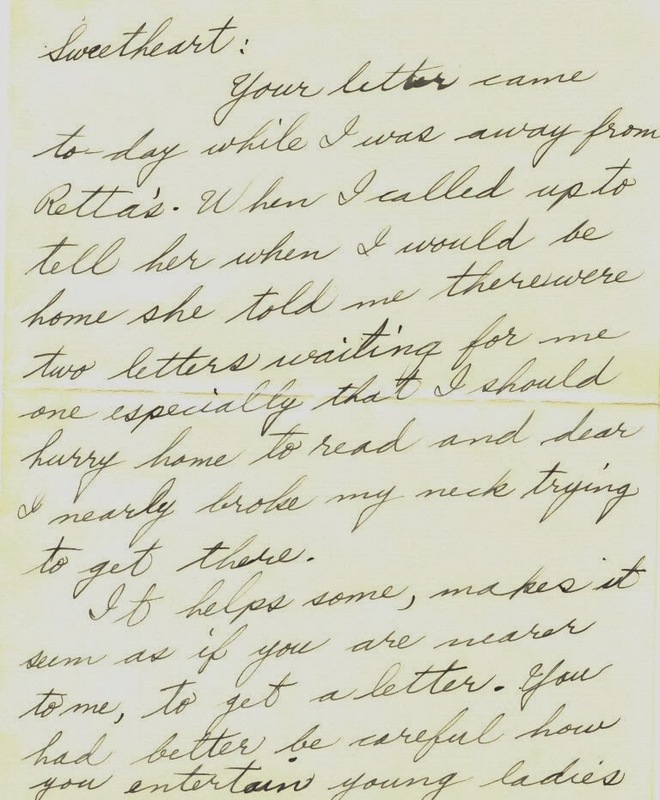 The only source I can find for this information is a scribbled note among Harriet Fish’s papers — but no information as to her source for this tidbit. On April 25, 1892, the King County Council approved the incorporation of the town of Gilman, following a vote by the citizens of the would-be town. The application for incorporation included a proposed slate of mayor and council members. The minutes of the first Gilman Town Council meeting on April 27, 1892 note that the name of John McQuade was put forth for the office of Town Marshal, and was unanimously approved. Did some other associated incorporation paperwork include Beebe’s name as the proposed marshal? Why didn’t his name come up during the nominations at the first council meeting? As is so often the case, seeking the answer to a historical question often leads us… to more questions. If you have any additional ideas about Mr. Beebe or Gilman’s first town marshal, I would love to hear them!